I promise, you won't look like a Borg if you wear this. Do your friends complain that you can’t pull your eyes away from your iPhone? Well, if you get the new XWave by PLX Devices, then you might have trouble pulling your brain away, too. The peripheral, released in November for $99, brings an EEG-based brain-computer interface (BCI) to iPhone, iPod touch, and iPad users at an affordable price. Based on NeuroSky’s Mindset, XWave gives you the power to manipulate various apps with brain rhythms. While you can’t text or browse the web with it yet, the XWave represents an important step in bringing BCI to the masses. Also, with the falling cost and increasing spatial resolution of brain-imaging technology, it’s exciting to ponder what powerful BCI devices we’ll be able to get for $99 in the future. Similar to other products based on the NeuroSky Mindset, the XWave applies an algorithm to your brain rhythms to convert them to meditation and attention values. If your rating in either of these categories is high enough, you can manipulate variables on the screen. Previous applications of this technology have been computer games, toys, and even youth Jedi training. While BCI for the consumer market is nothing new, XWave is the first device that combines NeuroSky technology with a widely adopted platform, opening the door to large scale exposure to BCI. Also, it has some cool apps to boot. For those new to NeuroSky, there’s a starter app called XWave. It takes a little practice to get in sync with your brainwaves, so this app instills the basic neurophysiological skill set required to excel in XWave’s other programs. People have expressed difficulty getting used to the NeuroSky system in the past, so this app is a must. In the video below is an example of the visualizer you would see on the standard XWave app. On the left is a graphical representation of brain waves with the color and shape changing depending on which rhythms and frequencies you’re projecting at any given moment. The top-right corner shows the frequency distribution derived from the EEG signal, which is concurrently side-scrolling in the background. Finally there’s the attention and meditation ratings that look like two little speedometers. When either of these are above 90, the meter starts flashing, indicating that your neuro-cognitive powers have peaked. It definitely beats trying to interpret EEG signals on your own, and it’s a lot prettier, too. To help build your neural resiliency, there’s the Tug of Mind developed by MindGames, LLC. You can take a picture and record the voice of an actual person (friend or worst enemy), and the app renders a digital representation. As the 3D face goes through various threatening facial expressions and sounds, the app measures your meditation and attention to see if you can keep your cool. Feeling stressed out by a co-worker? Maybe try this app, and let your anxiety melt away in the face of your adversary’s harmless 3D rendering. With minor tweaks, I could see this app being used to instill anti-bullying strategies in children. It couldn’t be any less effective than these tactics. Lastly, there’s XWave Tunes which encodes songs from your music library with your brain wave signature. The app records your meditation and attention values during playback, and searches for people who have emitted similar brain rhythms to that song or genre. The goal is to find your soul mate through music and a brain connection. Hey, maybe one day listening to Justin Bieber will produce a delta rhythm that syncs with your yet to be discovered soul mate on the subway, leading to a lifelong relationship. I’m sure it’s better than some dating websites. Of course, this app is only functional if there are a lot of XWavers out there. This first round of apps for the XWave are nifty. However, many will point out, “Yeah, it’s neat, but it’s just a toy.” There are also those who question the device’s practicality. 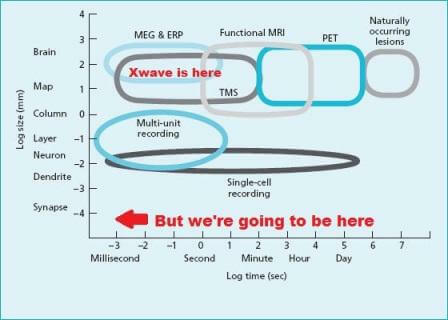 Indeed, compared to the powerful experimental BCI demonstrated by Miguel Nicolelis and the consumer BCI developed by Tan Le, the XWave is a little lackluster. There is only one electrode on NeuroSky’s Mindset (the Emotiv EPOC has 14), and there is no saline gel bridging the electrodes to the skull, leading to noise in the EEG signal. While this adds to the XWave’s user friendliness, it compromises the signal resolution and diminishes the headset’s potential applications. There are also the inherent problems of using EEG, which relies on global brain patterns for the signal. This establishes an upper limit to the device’s utility. Spatial and temporal resolution of brain imaging. Will we ever get to the bottom-left corner for $99? But so what if it is just a toy? So what if you can’t text with it (although, this might not be too far off)? Aside from logistical concerns, this device is a milestone. Arguably, no other BCI device has been so accessible to such a wide audience. It’s under a hundred bucks, and millions own the Apple devices that serve as XWave’s platform. 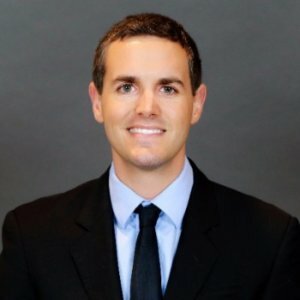 There could be innovative apps along the way that will blow up, and according to a sales rep at PLX, a version for Android-based phones is imminent. 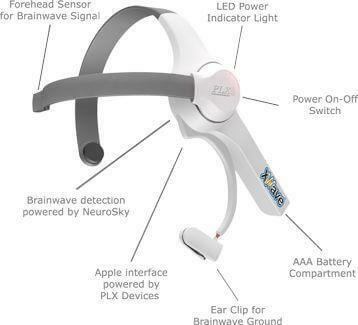 Along with other toys based on the NeuroSky headset, XWave may help infuse the idea of BCI into the public consciousness. Let’s not forget the Commodore 64 was primarily marketed as a video game console. Combined with the impact of the Macintosh, this “toy” allowed consumers to get comfortable with the idea of letting a computer into their home in the 1980s. In the case of XWave, Apple is once again a partner, but the destination is not the domicile. It’s the dome.